Hide this Project (Safal Pegasus) Discover properties in other projects by hiding the ones that doesn't interest you. You won't see them in your searches further but you can unhide anytime later. Hide this Dealer (tejas shukla) Discover properties by other dealers by hiding those whom you have already spoken to. You won't see them in your searches further but you can unhide anytime later. Safal Pegasus is a commercial development. This is an ongoing project of HN Safal Realty Pvt. Ltd. It offers Office and Shop area. The project is well equipped with all the amenities that are are required for a healthy working environment. 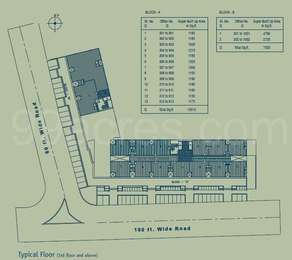 > Corporate suites of floor area 7500 sq. ft.
Where is Safal Pegasus located? The project is located in Prahlad Nagar, SG Highway & Surroundings. What is the total area of Safal Pegasus?The project spans across 6.0 Acres. Is Safal Pegasus vastu complaint? The project is not vastu complaint. o quality; innovation and customer service. Some of their past successful residential projects include Aamrakunj and Flora in Ahmedabad and commercial projects include Titanium city centre and Orchid centre in Ahmedabad.